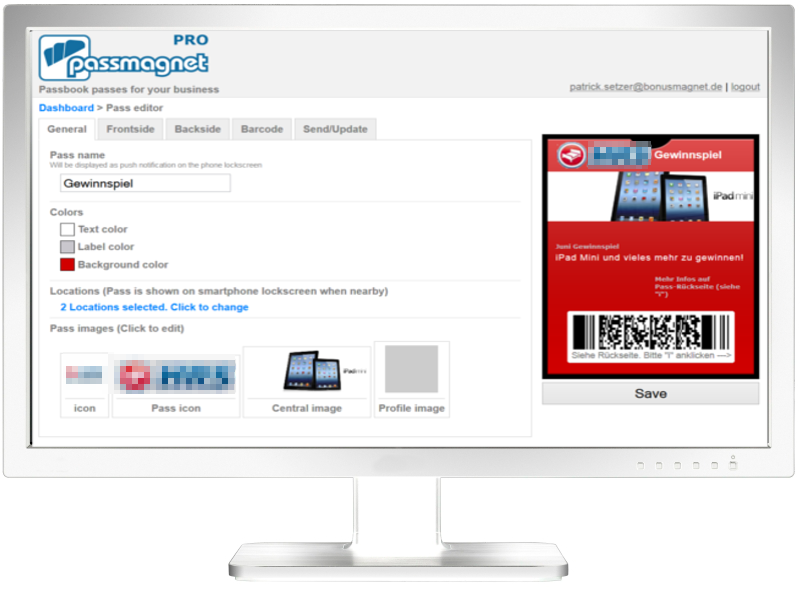 passmagnet offers similar like bonusmagnet mobile direct marketing services, but is technologywise very different since it uses Apples Passbook and Passkit platform. With passmagnet you can easily create so called “passes” representing loyalty cards, coupons, flight tickets and more to download them on mobile phones. Delivery of those passes is easy: Through email, text message, as a web-link or as downloadable file on your website. Just through a click a conusmer can add a pass to his Passbook App and always have necessary tickets, coupons, vouchers, loyalty cards & more with him. In addition Passbook offers push-notifcation services to i.e. inform consumers of an offer nearby. … create and deliver Passbook passes tailored to your needs. We provide manual campaigntools or system integrated solutions to map content from i.e. your CRM onto Passbook passes and automatically create vouchers, loyalty cards, event- or flight tickets or customized passes as needed. A reporting dashboard delivers the standard Passbook KPI to track your success. 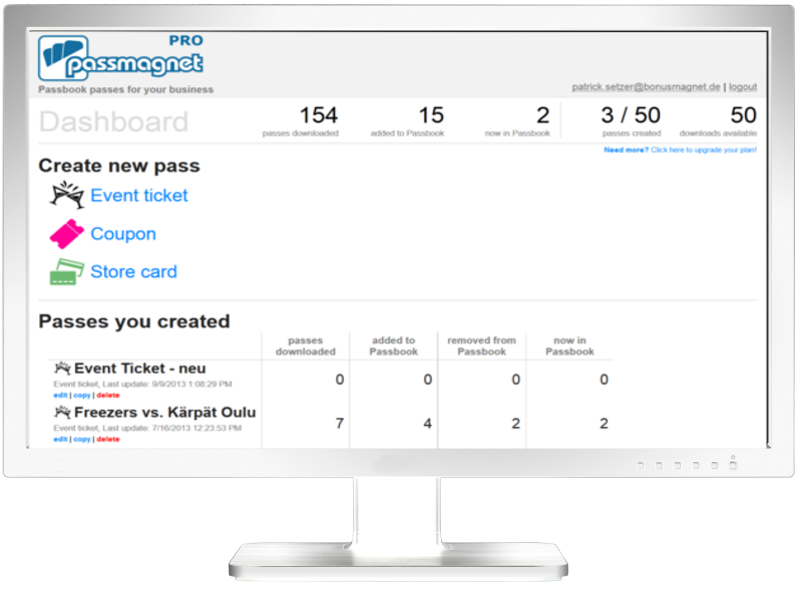 The passmagnet “Pass editor” is the central point to easily create and adapt your passes. Here you can upload company, product or shop images, define rebates or pick retail locations on a map to name a few functions. As well there are manifold possibilities to change text, color, backgrounds, barcode types and much more. Overall the preview feature offers direct review of the changes made showing the pass like it will be displayed on an iPhone. In the passmagnet “Dashboard” one gets an overview of passes created and their perfornance as well as most important key-performance-indicators of each single pass.